That’s me. I am a very bad blogger. Not that anyone’s been keeping track. 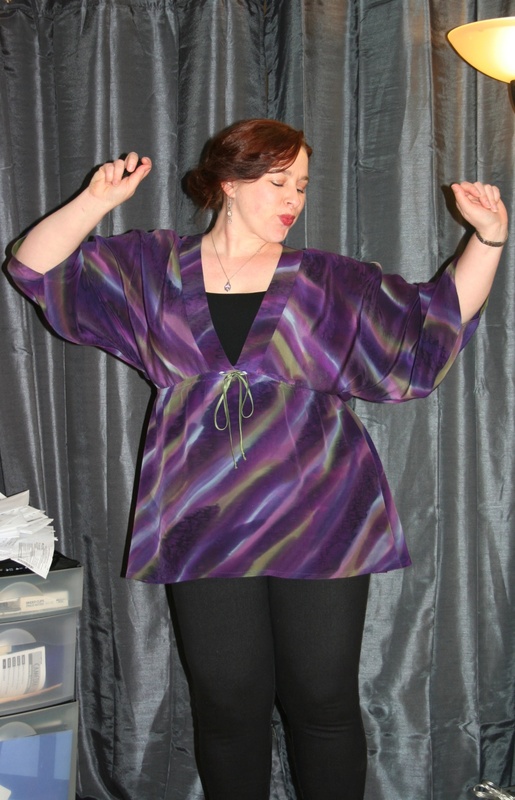 I originally started this blog to encourage and incentivize my own sewing. It worked! But shortly after starting, I made a big change in my life. I left one job and started another–and not just that: I relocated to an entirely different state. No big deal, right? People relocate for work all the time. Here’s the thing, though. My new job involves sewing. Reading about sewing, writing about sewing, actually sewing. I no longer need this blog as an incentive for my sewing. And because my days are now sewing-focused, I no longer have the energy to write about my sewing experiences regularly. That’s why it’s been over a year since I last posted here. Again, not that anyone is keeping track except myself. But I do want to post again. Maybe not more than once a month, but I do want to keep this blog up. And I have been sewing for myself quite a bit. So, from here on out, my goal is to post about a sewing project once a month, regardless of the project’s progress or state of completion. I’ve been working on so many different things, but about half have been everyday clothes and half have been historical costume. Since moving to Connecticut from Virginia, I’ve gotten involved with a Jane Austen group, and the group is beginning to organize more Regency-living type events, rather than just book discussions and movie viewings. (Interestingly, a few months ago, a Regency Society started up in Virginia–I miss everything good!) And I think I’ve established here before that I love playing dress-up and will take just about any excuse to do so. So I’m working on a Regency wardrobe. Slowly, but surely. I’m also working my way through a LOOOONG list of dresses and tops for everyday wear. Again, slowly.